Drone footage released by the Russian Ministry of Defense shows a column of nuclear missiles, mounted atop their custom-designed multi-axis all-wheel-driven MAZ trucks, moving down Moscow's Automobile Ring Road. Escorted by police cars, these huge vehicles have come to Moscow not to make war, but to celebrate peace: they are here to take part in the annual Victory Day military parade that will take place on Red Square May 9 to commemorate the victory of the Soviet Union over Nazi Germany in 1945. 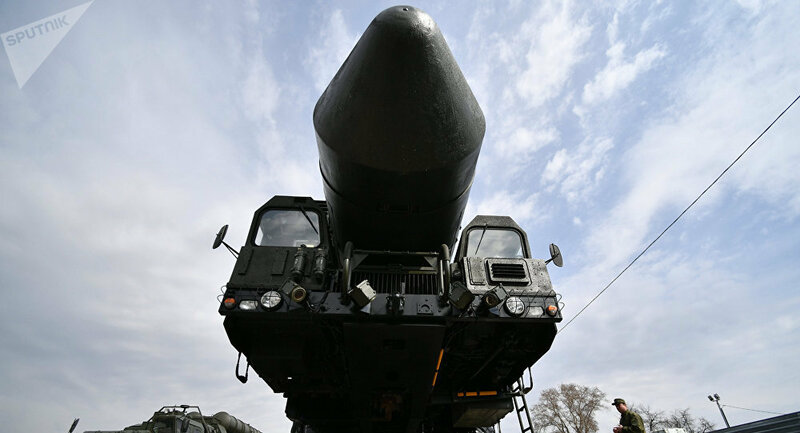 On February 26, the three ICBM trucks started their 400-kilometer march from the Teykovskaya missile division. For matters of convenience, they were escorted both by civilian and military police, Rossiyskaya Gazeta reports. Even though the parade will not happen for months, some military branches are already preparing their routines. The ICBMs, for example, have already left Moscow for Alabino proving grounds, where most of their rehearsals will take place. The parade's final rehearsals actually take place on Red Square late at night, but even so they still gather a solid crowd of spectators — and watching these giant machines passing mere meters away from you is a sight to see!